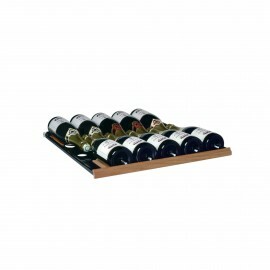 This sliding shelf facilitates individual access to Magnums and allows you to display 7 bottles on one single row. This shelf is compatible with 6000 Series & Collection range models. This body, in two materials, combines a rigid structure to support the bottle and a more flexible rim in elastomer which adapts to its shape and protects it from vibration. 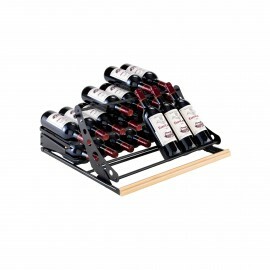 This shelf model contains 7 premium Main du Sommelier models with a reworked aesthetic finish and more user-friendly design with regard to positioning the bottle. It was by working with sommeliers that the ideal of developing this patented bottle support came to us. So it seemed logical to name this innovative product after them. The main du sommelier carefully holds all of your precious bottles by combining a rigid structure to hold the bottle with a flexible material which adapts to its shape and protects it from vibration. 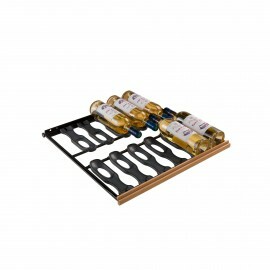 This protective structure gently slides along the guidelines of the shelf in order to adapt to the shape of each bottle.